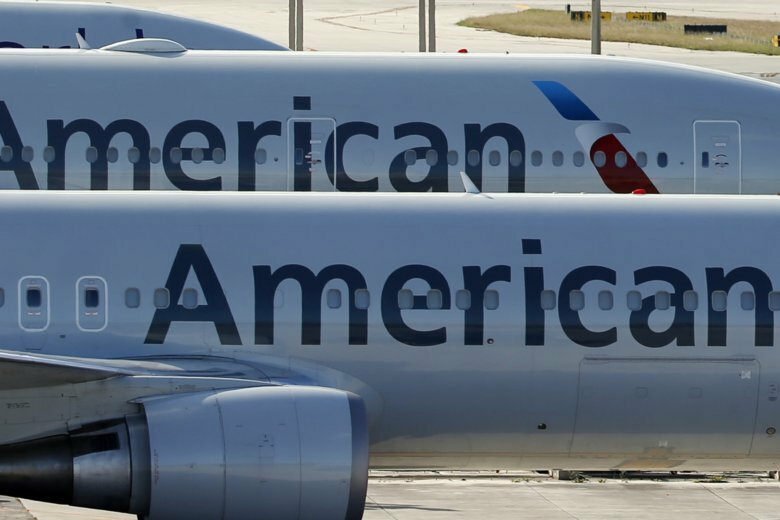 FORT WORTH, Texas (AP) — American Airlines is threatening to prohibit customers from making changes to nonrefundable tickets if Congress makes good on a proposal to crack down on what critics call unreasonable airline fees. American CEO Doug Parker says that his airline would be acting just like many other businesses when customers want to swap their ticket for a different flight or for another day. “We — like the baseball team, like the opera — would say, ‘We’re sorry, it was nonrefundable,'” Parker said this week. Parker made the comments as the airline industry’s main trade group mobilizes to defeat a proposal in Congress to limit airline fees. Changing a domestic ticket on the largest airlines typically costs $200. Last year, U.S. carriers collected nearly $2.9 billion in change fees. American led the pack with $878 million. The Senate has voted to tell the Transportation Department to make sure that various fees — including ticket-change and baggage charges — reflect the airline’s actual cost for providing the extra service. The House has not yet gone along, and the fate of the Senate provision, contained in a bill governing the Federal Aviation Administration, is unclear, especially with Congress rushing toward adjournment before the November midterm elections. The Trump administration opposes the fees provision. In May, the Transportation Department said it would be a step back toward re-regulating airline pricing, which largely ended in 1978. Parker said that if the provision becomes law, American would almost certainly eliminate the option for customers to change their ticket if they bought a nonrefundable fare — the most affordable type of tickets. The CEO concedes that it doesn’t cost American $200 to change a customer’s ticket. That’s not the point, he says. Pinkerton said limiting airlines’ ability to set fees is “dangerous,” and defeating it is important to the industry. It would be a tricky business decision for American, Delta or United to bar customers from changing nonrefundable tickets. For one thing, a large competitor, Southwest Airlines, does not charge fees for changing or canceling a ticket. Eliminating the option to alter a reservation also would run counter to the current trend of airlines offering many options to passengers in order to get the most possible revenue from everyone from the penny-pinching vacationer to the expense-account business flyer. Critics such as Consumers Union accuse airlines of nickel-and-diming customers with a bevy of fees, and eight groups supported the proposal by Sen. Edward Markey, D-Mass., and others to scrutinize extra charges. Just this week, American and Delta Air Lines joined United Airlines and JetBlue Airways in raising checked-baggage fees within the U.S. to $30 for the first bag and $70 for two bags — each way — up from $25 for one bag and $60 for two. But airline pricing is notoriously complex, and pulling at one string could loosen another. Travel blogger Gary Leff says congressional limits on fees would mostly hurt so-called ultra-low-cost carriers such as Spirit Airlines and Frontier Airlines, which charge low fares but depend on fees for a greater share of their revenue. They are popular with some leisure travelers. “We may wind up getting lower fees but higher fares,” Leff says.